Münster/Osnabrück Airport is very popular on account of its central location. It covers an attractive catchment area in the north-west of North Rhine Westphalia, in the south-west of Lower Saxony and the north-east of the Netherlands. Over 1 million passengers pass through Münster/Osnabrück Airport every year. Approximately 50% are travelling on business and the other 50% are travelling for private reasons. Passengers spend an average of one hour at the airport. Furthermore an additional one million persons visit Münster/Osnabrück Airport every year, either to bring flight passengers or pick them up, to use one of our conference rooms, to select a holiday from the wide range offered by the travel agencies represented here or simply to enjoy a little bit of airport atmosphere. These people can all be part of your target group if you advertise at FMO. 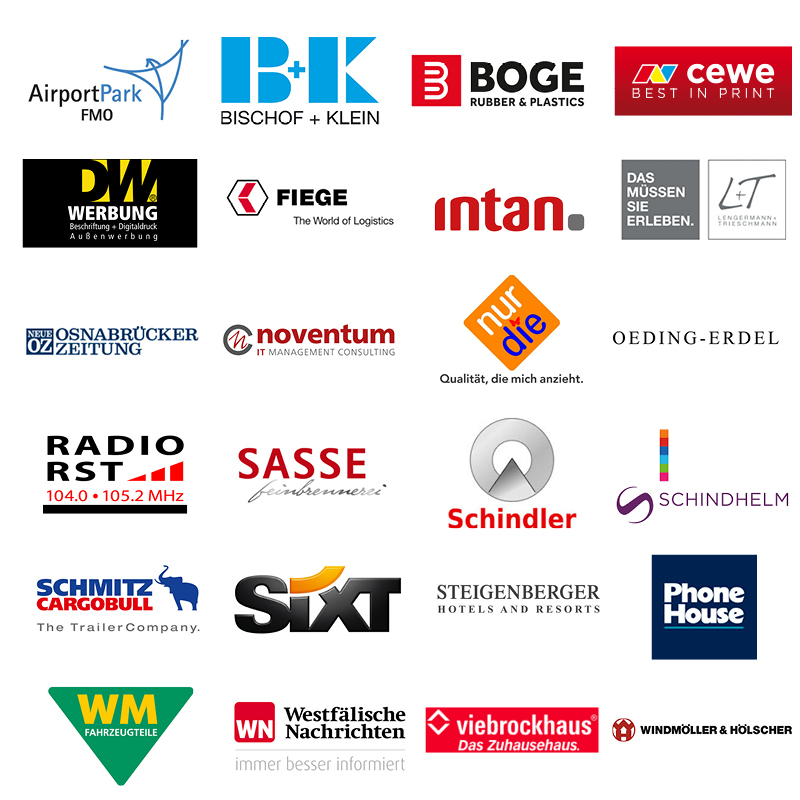 Many companies already use Münster/Osnabrück Airport as an advertising platform, either for image advertising or for a specific marketing campaign. Are you interested in our advertising spaces? We are looking forward to hear from you!